As Bradbury said, life is trying things to see if they work. 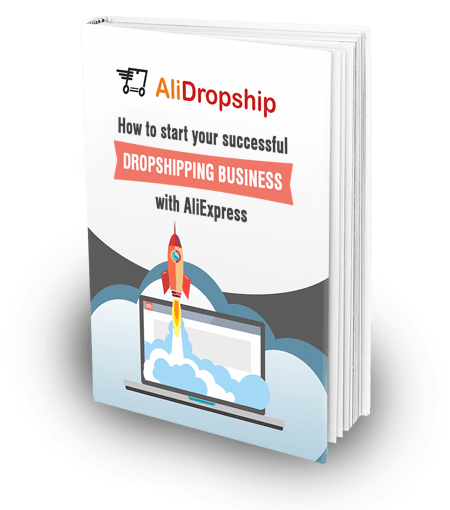 Dropshipping is all about it! In this article, we’re going to discuss how to find your niche for dropshipping stores, how to approach it, and what are the advantages you’re going to get from that. What’s the most popular reason for potential dropshipping entrepreneurs to back out of starting their online ventures? It is the lack of good ideas about the perfect products to sell that could ensure their business success. Besides, there is another problem. Many dropshipping beginners underestimate the role of taking a narrow niche in eCommerce business. Meanwhile, the choice of a niche is way more important than it could seem at first glance. Dropshipping may seem to be an easy way to make money which doesn’t require any extra efforts. All that needs to be done is setting up your website and uploading AliDropship plugin for a smoother business management. The next actions look pretty obvious. You simply add a bunch of popular AliExpress products to your online shop. In other words, you just launch a so-called general store and offer a wide range of products which people buy every day. Thanks to them, you attract dozens of clients and earn a fortune. It should do the trick, shouldn’t it? Starting a general store, you have to be ready to come up against such rivals as Amazon and eBay, which are the biggest and most famous online marketplaces in the world. Let’s be honest. You hardly can compete with such giants. And what about brick and mortar shops located close to your buyers’ places of living? People can come to offline stores and buy the same items that you sell. Even if your prices are lower than the ones in these shops, the consumers will make their choice in their favor. Why? It’s simple. Customers are ready to pay more for generic items if they get their them on the spot instead of waiting for your goods to arrive. When you offer a wide range of products to buy, it becomes impossible to find your target audience to zero in on. Meanwhile, it is vital to draw up your marketing plan. If you don’t have a proper marketing strategy, your dropshipping business is likely to fail. Furthermore, running a general store significantly hinders your search engine optimization (SEO) efforts. In this case, it will be overwhelmingly difficult to choose the necessary keywords, properly optimize plenty of your product pages, and fill up your site with unique content to come up on the top of Google search results. But, if you focus on a narrow range of products (which means taking a niche), you get totally different results! It allows you to get around the mentioned problems, and even opens up opportunities to scale your online business. Online shopping has become something more than just buying goods. A survey that took place in 2016 could be a shining example of the advantages of a careful niche choice. According to it, more than 90% of consumers consider online shopping as a cure for boredom. When people feel down or bored, they’re eager to get rid of these feelings by buying something online. Naturally, they prefer to buy something they’re passionate about. It should cause some emotional response. Nowadays, people suffer from the crazy pace of living. To cope with the stress, they need some positive, uplifting emotions. If your product can make them happy, it will be great for your success. It should solve some problem. Your product needs to help customers overcome or alleviate the obstacles they face while working or spending time on their hobbies. It should stand out. Most people want to draw other people’s attention. It’s not a brand-new discovery. Nobody wants to wear the same dull clothes or jewelry. Customers will be eager to buy something unique and recognizable. It should be socially valuable. Everyone wants to keep their image up to date. Some products make you look respectable and fashionable. Ok, we’ve found out that your chances to succeed become much higher if you decide to launch a niche store. We even know what features your niche needs to succeed. So, it’s time to choose it! But first, let’s consider this important thing. Dropshipping allows you to make mistakes. Or, better to say, it leaves you a chance to fix your errors painlessly. If you’ve picked some products for your store that don’t catch on with customers, just choose other goods and try them out. It will cost you nothing! 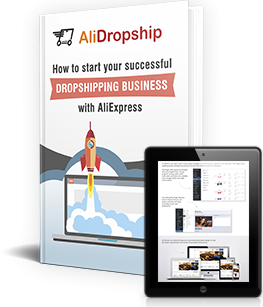 AliDropship team successfully runs its own online shops and knows some proven ways to find suitable products. Relying on its broad experience, it even offers you a free niche evaluation tool to check your niche potential easily! Customers need to be sure that they deal with someone who doesn’t simply want to line their pockets at consumers’ expense, but has something in common with them. In this case, your clients perceive your service as a sort of aid. Besides, if you like what you do, it’s much easier to make your business take off, isn’t it? The easiest way to identify your passions is drawing up a list of the interests. Just take your time and think of the sites you frequently visit, magazines you read, communities and groups on social networks you’re subscribed to, etc. A good way to pull it off is visiting different forums and social communities on the Internet related to your passions. Go there, read, interact with people who share your interests. Then think it over and show your creativity. What can you offer these people to help them solve their issues? Another great way to find it out is using free Google researching tools such as Google Trends and Google Keyword Planner. People usually turn to the Internet to find solutions to their problems. These tools are going to help you find out the most topical people’s problems. To learn more about making such research, please, go to this article. Put a niche into perspective. Could you be competitive? What potential profit can you expect? Identify the sites of your potential competitors, and compare their prices. Think of the original products you could offer, non-typical pricing strategy you could use, and the unusual promotional strategies you could try to make yourself different from others. Now, it’s time to act! Go to AliExpress, find your products, and add them to your online store. If you’ve done everything right, your success is inevitable! Which dropshipping niches should you pay attention to in 2019? Keeping an eye on the latest trends is one of the most important things for every kind of businesses. Dropshipping is not an exception. These items could be a great idea for your online shop. The number of consumers in this market is constantly going up, and nothing seems to slow its growth down. It could be either clothes for pregnant women or some equipment to make young mothers’ lives easier. It’s the human nature to strive for making one’s life simpler and more convenient. Who wouldn’t want to turn the light on and off by a snap of the fingers? How do you like the idea of clapping to turn on the lights instead of groping your way to the light switch in the darkness? Probably everyone has faced the problem of losing keys, wallet, or other tiny yet important things. In these moments, people regret not having a device that could help to track them down. How about offering the solution to them? Most people who keep pets at their homes want to treat them with a fun toy, a comfortable pet bed, or a fancy piece of clothing. This niche has enough room to find amazing product ideas for a dropshipping store. Surely, there are more and more fresh ideas to come, so don’t forget to check our ‘Niches and Products’ blog section from time to time! I hope this article makes it clearer for you how to find your niche, and supports you on the way to start your dropshipping business in 2019! If you have any questions or suggestions, feel free leave them in the comment section below. We’re glad to answer! I like your post. The way you describe is easy to understand for me. I wanna start my Dropshipping business within 2019. But I don’t want to do paid marketing in Facebook or Google Ads. I want organic traffic on my online store. I think every niche is not suitable SEO. Do you suggest any niche which can be ranked with SEO and I would have organic traffic for my store? I think, you just need to do your own research with keywords and Google Trends. That’s how you can size up niches’ prospects. I recommend you reading this artucle about product pages SEO https://alidropship.com/seo-product-page/. It’s a tried-and-tested way to drive organic traffic to your store. It should do the trick. And keep in mind that it takes some time for SEO to work through.